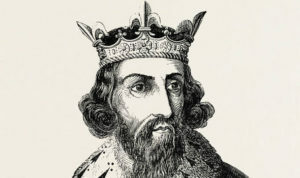 Alfred the Great was King of Wessex from 871 to 899. Alfred was the youngest son of King Ethelwulf of Wessex. His father died when he was young and three of Alfred’s brothers reigned in turn. 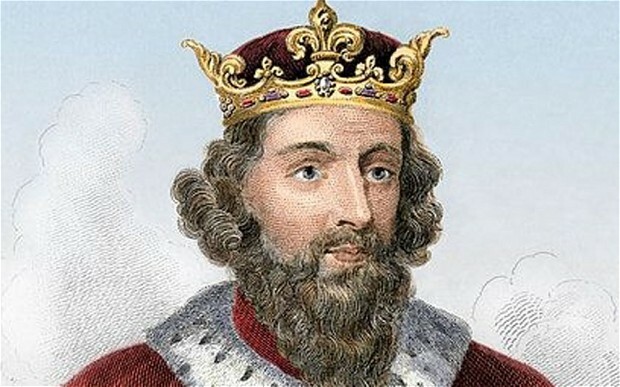 Take a look below for 30 more interesting and awesome facts about Alfred the Great. 1. Taking the throne after the death of his brother Ethelred, Alfred spent several years dealing with Viking invasions. 2. After a decisive victory in the Battle of Edington in 878, Alfred made an agreement with the Vikings, creating what was known as Danelaw in the North of England. 3. Alfred oversaw the conversion of the Viking leader, Guthrum. 4. Alfred successfully defended his kingdom against the Viking attempt at conquest, and by the time of his death, had become the dominant ruler in England. 5. He is one of only two English monarchs to be given the epithet “the Great,” the other being the Scandinavian Cnut the Great. 7. Details of Alfred’s life are described in a work by the 9th century Welsh scholar and bishop Asser. 8. Alfred had a reputation as a learned and merciful man of a gracious and level-headed nature who encouraged education, proposing that primary education be conducted in English rather than Latin, and improved his kingdom’s legal system, military structure, and his people’s quality of life. 9. In 2002, Alfred was ranked number 14 in the BBC’s poll of the 100 Greatest Britons. 10. 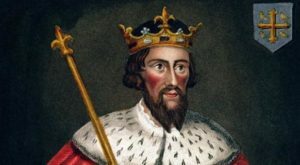 Alfred was born in the year 849 in The Royal Palace, Wantage, Oxfordshire, as the youngest son of King Ethelwulf of Wessex, and the King’s first wife, Osburh. 11. As a young boy, he accompanied his father on a pilgrimage to Rome, where he spent some time at the court of Charles the Bald, King of the Franks, around 854. 12. 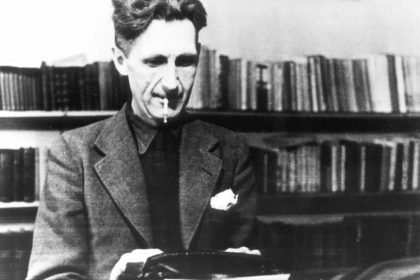 He was interested in scholarly pursuits and literature from an early age, and is said to have memorized a volume of poetry in Saxon as a child. 13. His love for learning would remain with him throughout his life. 14. At the time, the country was under threat from Danish raids. Therefore, the King Ethelwulf decided that his sons would succeed the kingship in turn. 15. The king died in 858 and as per his wishes, Wessex was ruled by three of his elder sons, Aethelbald, Aethelberht and Aethelred, in succession. 16. Alfred started playing a very active role in the military campaigns in 870 when the Danes invaded his homeland. A total of nine battles were fought in the year with varying outcomes and Alfred played key roles in each of them. 17. In 871, he gained much respect fighting as a 21 year old in the Battle of Ashdown. He led his brother’s army against the Danes and defeated them. The valor and courage he displayed in spite of his young age earned him admiration from the citizens. 18. King Aethelred died in 871 and Alfred succeeded him. The Danes attacked once again even as the new king was busy in the burial of his brother and easily defeated the Saxon army. 19. 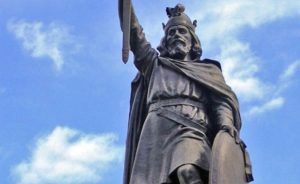 King Alfred won a decisive victory at the Battle of Edington, where his army faced the Great Heathen Army led by Guthrum in 878. 20. He forced Guthrum into submission and had him baptized. 21. Following his victory over Guthrum, Alfred brought about many reforms in his military, which made it increasingly difficult for the Vikings to raid successfully. 22. Alfred is best remembered for his role in the Battle of Ashdown, in Berkshire, that took place in 871. 23. He married Ealhswith in 868. Ealhswith was the daughter of a Mercian nobleman, Aethelred Mucil and Eadburh, a member of the Mercian royal family. 24. 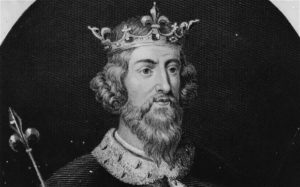 The couple went on to have several children, of whom five survived to adulthood, including Edward the Elder, who succeeded his father as king. 25. Alfred suffered from some painful illnesses throughout his life. 26. 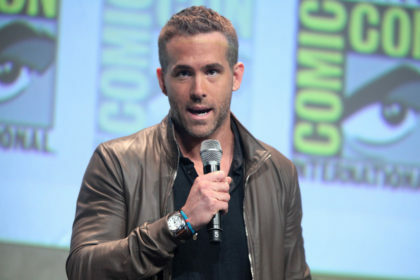 It’s believed that he either had Crohn’s disease or haemorrhoidal disease. 27. Because of his life long love for learning, a number of educational establishments are named in Alfred’s honor, which include Alfred University and Alfred State College in New York, and King Alfred’s Academy, a secondary school in Wantage, Oxfordshire, the birthplace of Alfred. 28. Alfred is venerated as a saint by some Christian traditions, but an attempt by Henry VI of England in 1441 to have him canonized by the pope was unsuccessful. 29. The Anglican Communion venerates him as a Christian hero, with a feast day or commemoration on October 26, and he may often be found depicted in stained glass in Church of England parish churches. 30. 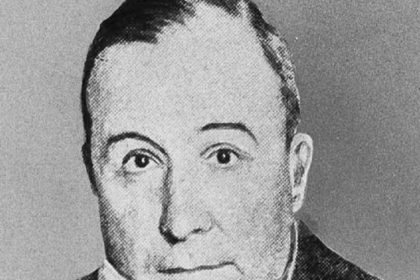 Alfred commissioned Bishop Asser to write his biography, which inevitably emphasized Alfred’s positive aspects.